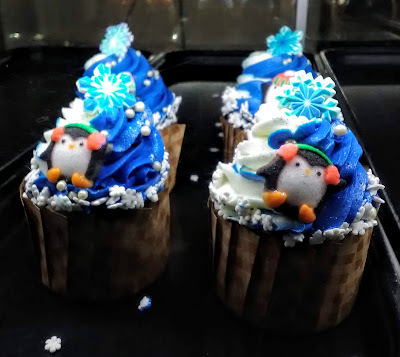 Kingdom Konsultant Travel Blog: REVIEW: Five New Disney Treats (And One Old Favorite)! 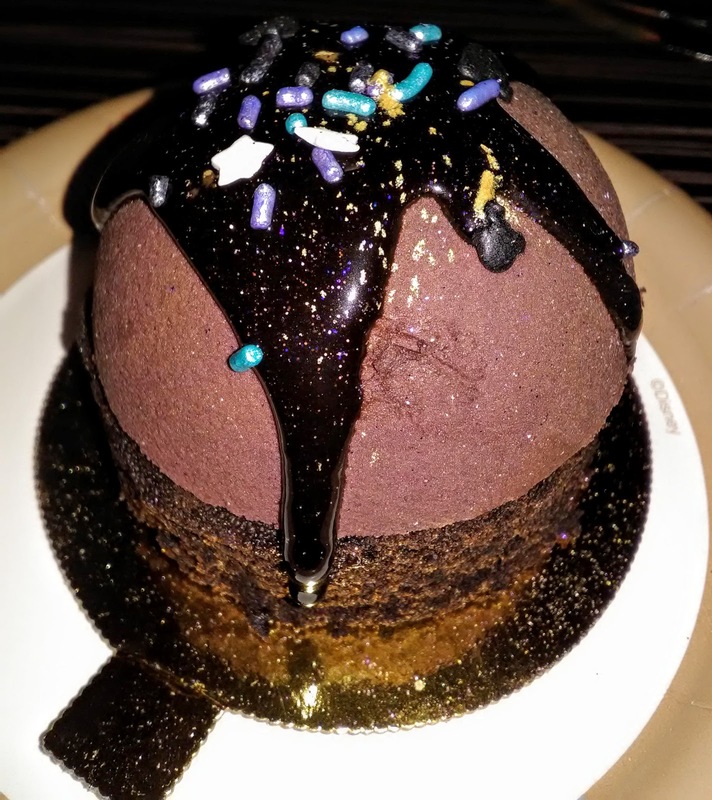 REVIEW: Five New Disney Treats (And One Old Favorite)! Since we find ourselves between Epcot Festivals for the moment, (but just for like, a minute, since Festival of the Arts starts this weekend! ), I thought I'd show you some treats and eats from other spots on Disney property that you may want to indulge in. Grab your fork.... let's go! 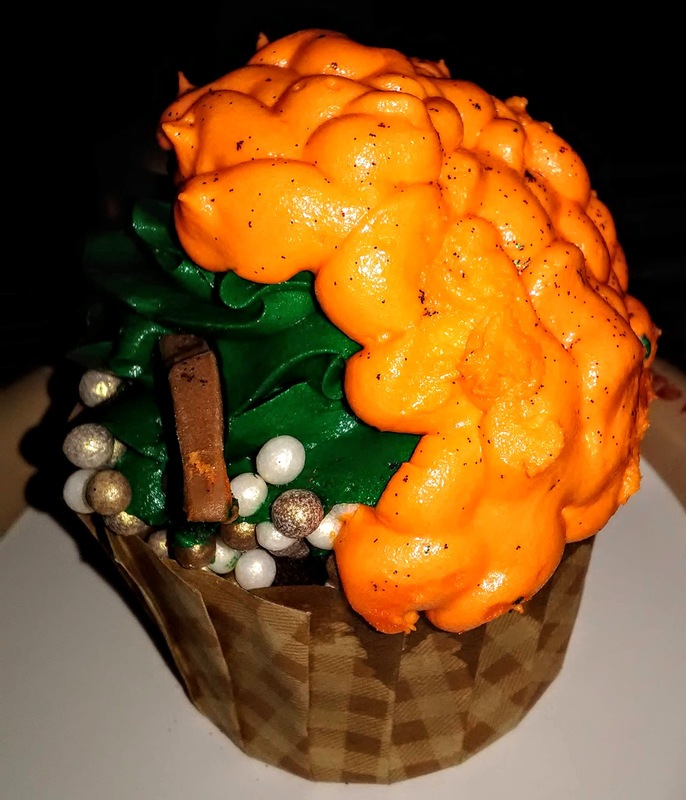 So, before we get to this cute little Scottish princess cupcake, let's talk about All Star Food Courts, in general. 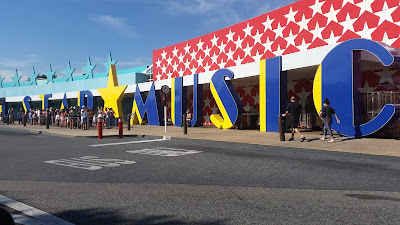 They are kinda the sleepers when it comes to Disney snack destinations. No one really visits them unless they're staying at an All Star, but they have some amazing desserts and treats! 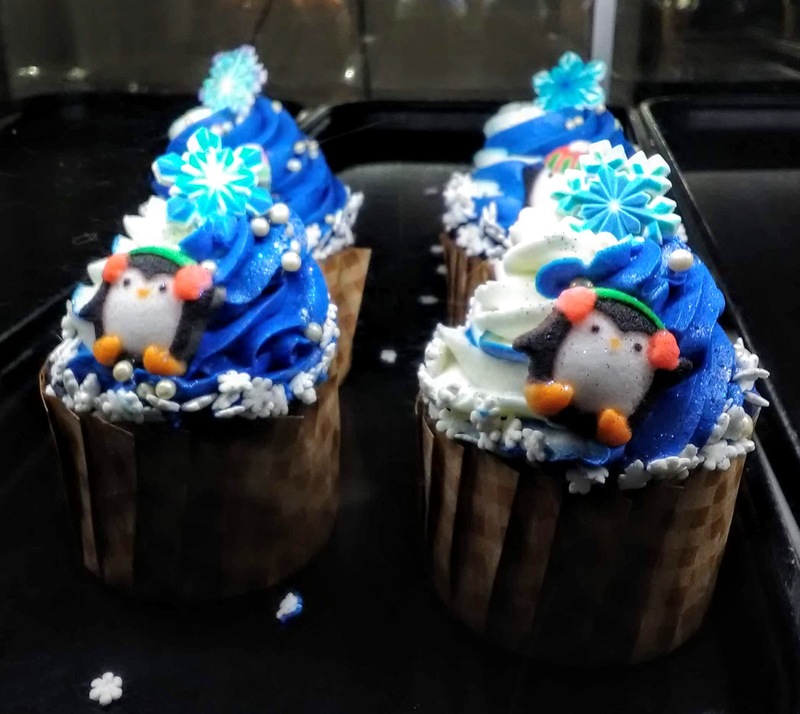 Just look at their cupcake selection! As for flavor, this one is pretty straight-forward. It was a chocolate cake with plain buttercream icing.... LOTS of icing. Overall, we liked this cupcake and it absolutely scored points in my daughter's book for "the most fun cupcake, ever!" While I was at the All Star Music, I couldn't just get ONE dessert with all the fun things they had to choose from. I had to try a second one, you know, for "work". 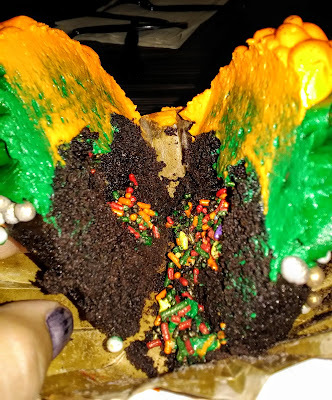 I went with this crazy looking cake. Purple??? Maybe a brownish purple. So this is one of the desserts that was released to celebrate the new "Purple Potion" colored Minnie Ears. It seems like this is kinda Disney's new jam. 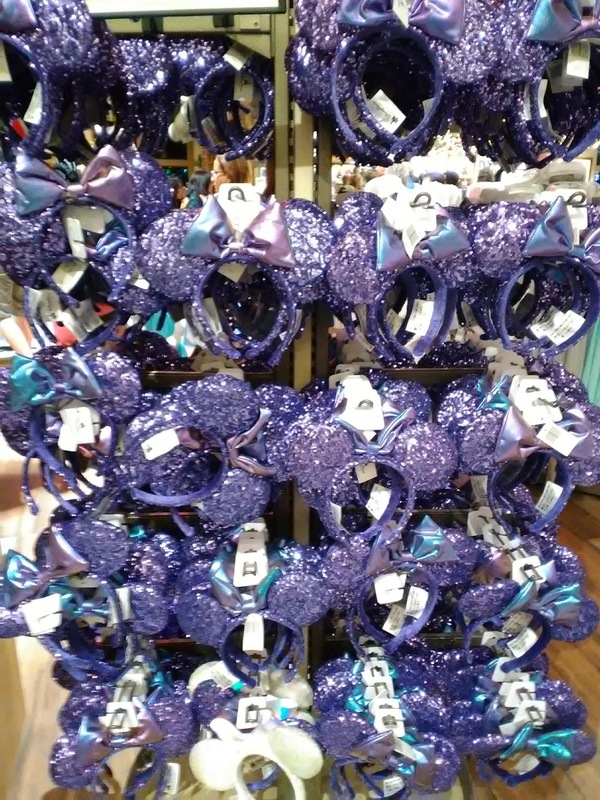 They release a specialty set of mouse ears, (i.e. Rose Gold, Iridescent, Purple Potion), and then they follow it up with treats and snacks to match. And it WORKS! Guests go nuts for both the fashionable ears and the tasty treats! 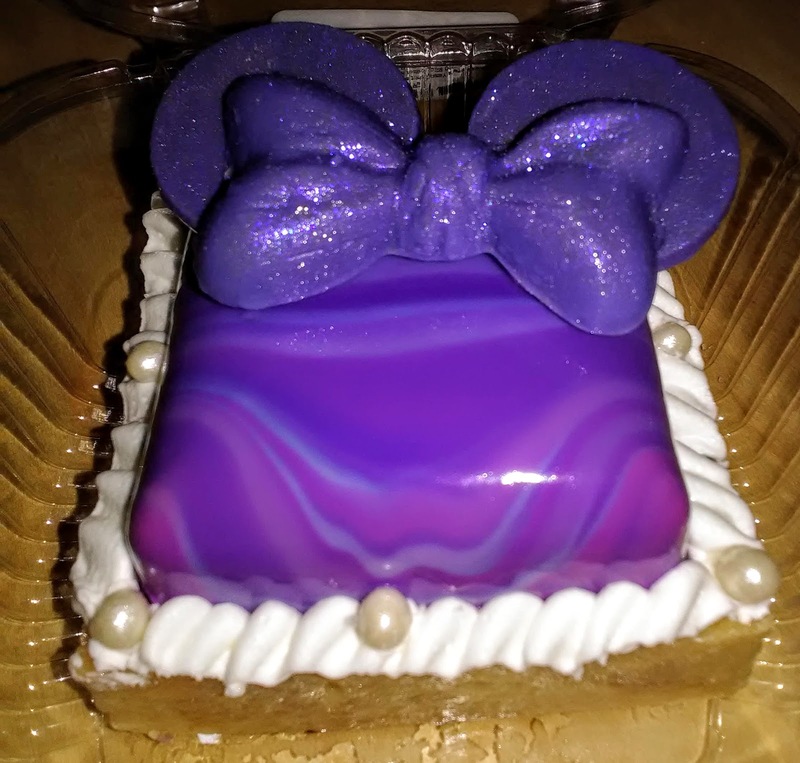 So here's one of the many "purple" snacks available on property, but I gotta say, this didn't look all that purple to me. In fact, I double checked to make sure I was getting the right thing. It is a bit more lilac colored when you cut into it. Anyways, we will let it slide. This was a chocolate cake, (pretty much the same texture as the cupcake), with a dome of "purple" chocolate mousse on top. The taste was OK, but the consistency of the mousse was a little off. It was very firm, and as a result, it was not even really attached to the cake. 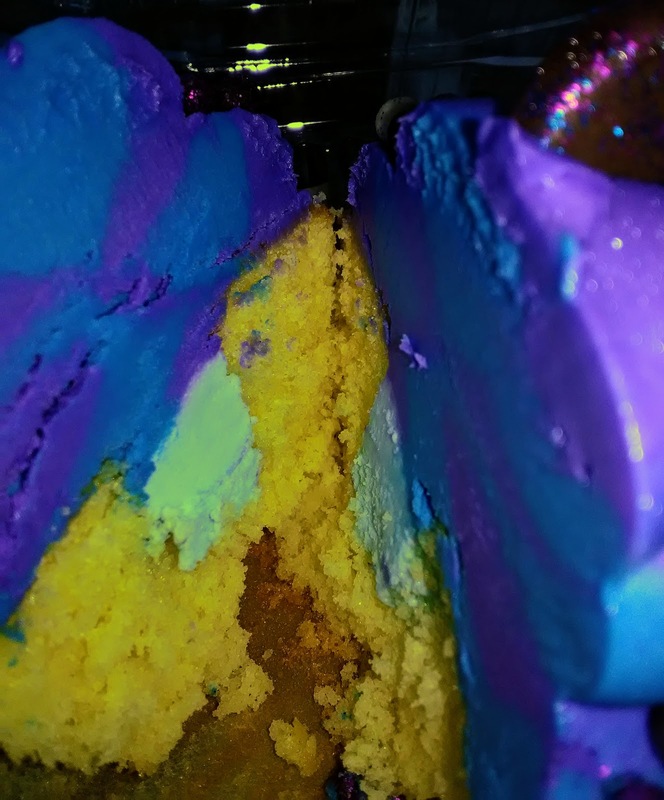 I ended up eating the cake, and leaving the dense mousse behind on the plate. Not my fave, though the cosmic sprinkles and chocolate sauce on top were a nice touch. Another purple addition to the collection, but this one actually looks purple in color. Meet the Purple Cotton Candy Cupcake. But again, I'd say this description is a little off. 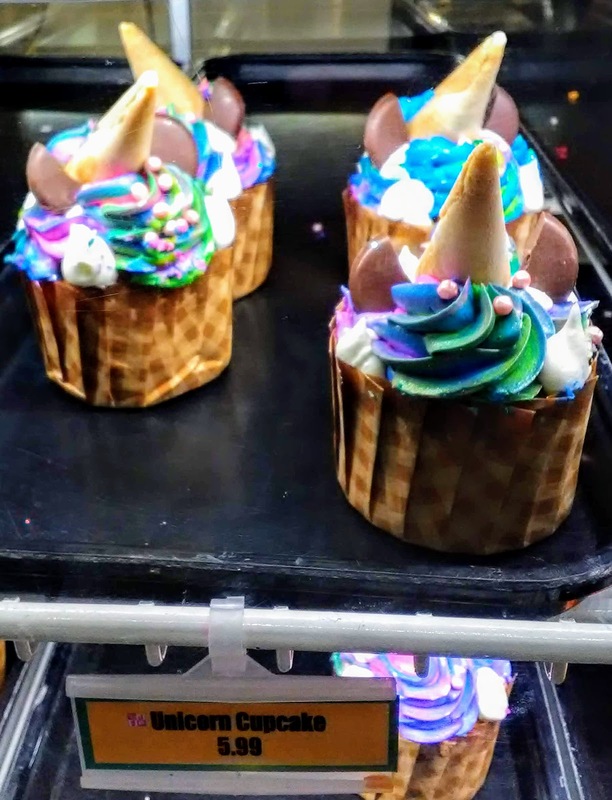 It's certainly not stuffed with real cotton candy, but then again, I don't know how they would do that, as cotton candy melts. It was, however, a delicious cotton candy frosting inside, and it gave the cupcake it's much-needed cotton candy punch. Overall, I really liked this cupcake and would get it again. There's no way we can be at French Quarter and NOT get beignets. 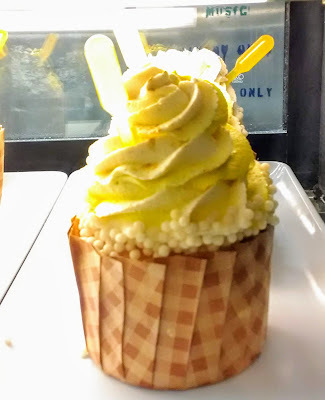 It would be committing a Disney Foodie sin. If you have never had the beignets you MUST make a special trip to get them. They are a New Orleans staple. 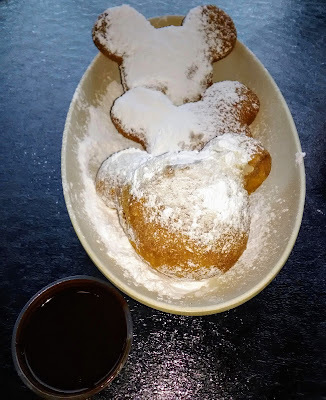 These puffy Mickey heads are made of fried dough, and dusted with powdered sugar. So simple, but so, SO good. "Princess and The Frog" fans will know that Princess Tiana was famous for her beignets and we can see why when we eat these. You can get an order of 3 or 6. You'll want the 6, trust me. We got six, but three of them were egg-free, so they are not pictured here, since they are plain rectangles. And oh, you gotta get the chicory chocolate sauce on the side. To be honest, I'd just get a shot of the chocolate sauce and be happy. It's amazing! You can't go wrong with beignets! 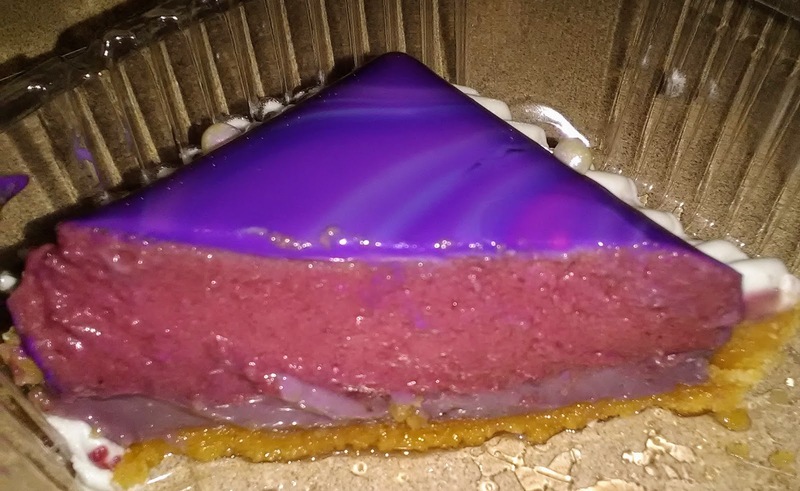 Another "purple potion" dessert, but this one is right on the money when it comes to color. I mean, just look at this! 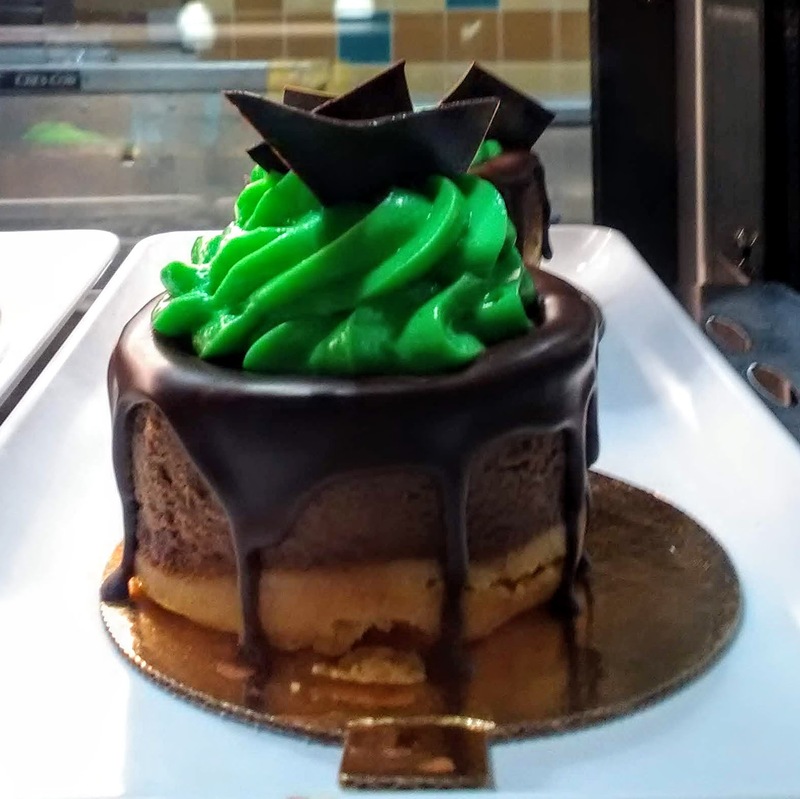 I think I would find the inside pretty if the color of the mousse didn't remind me of raw steak. Anyway, the taste is what matters the most and this tasted awesome! Not too sweet, not too tart. I loved the raspberry twist on the traditional lemon tart and it was nice and refreshing. 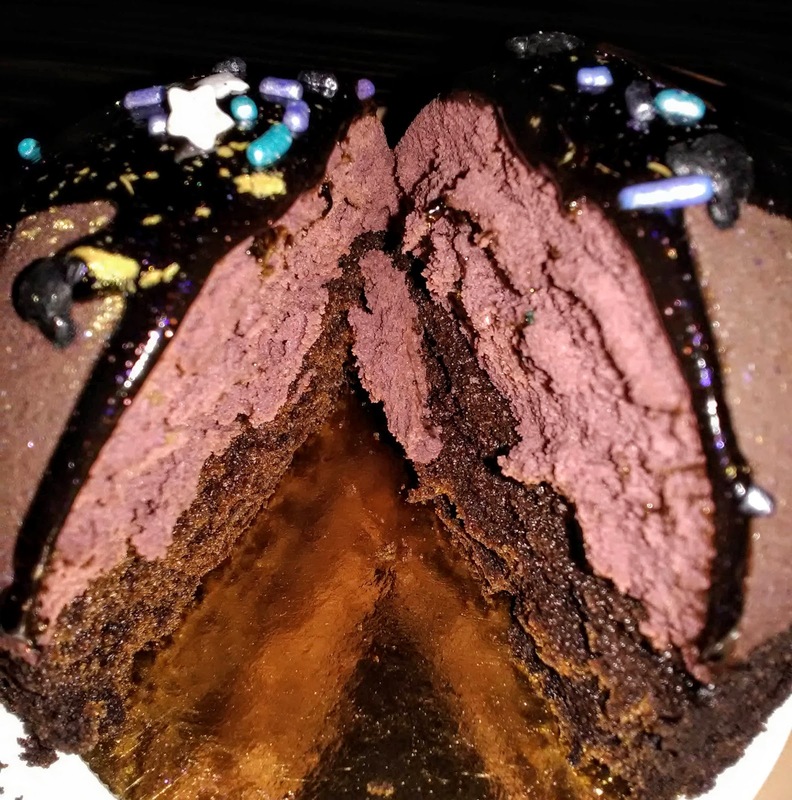 A great purple dessert option for those who don't want something as heavy as a cupcake. 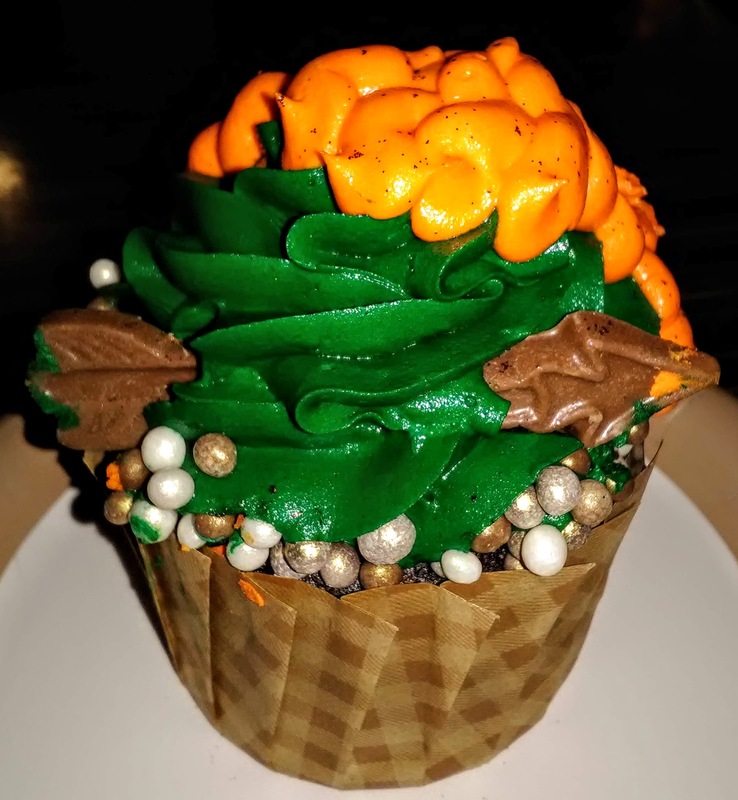 (Although, if you don't want a cupcake, I don't know if we can be friends.) This was my favorite of all the snacks! 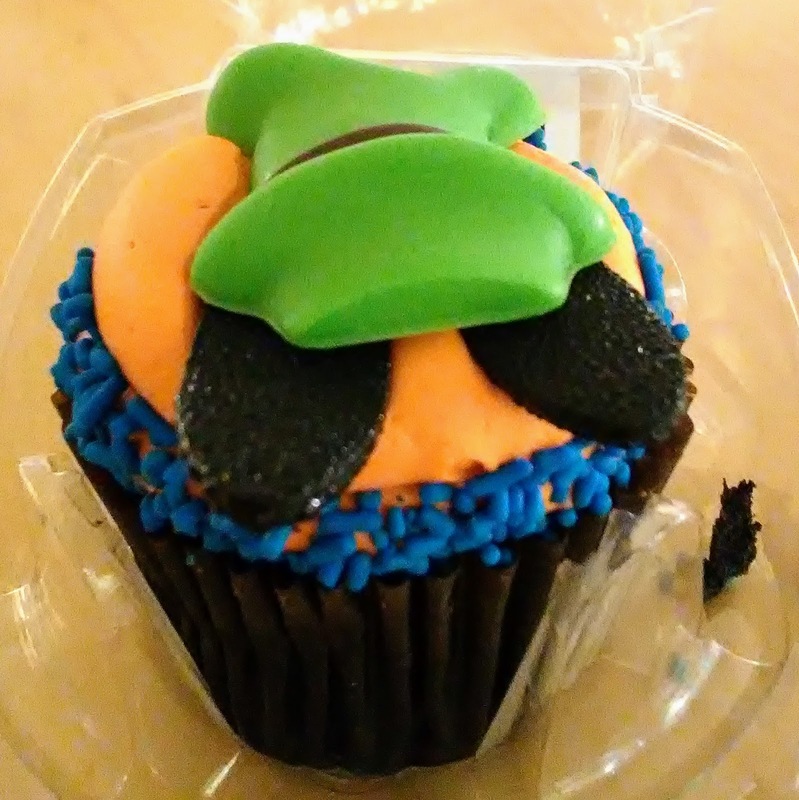 I had not planned on buying this cupcake, but since Goofy is The Hubs' very favorite character, and chocolate peanut butter cupcakes ALSO happen to be his very favorite, I couldn't resist. It was worth the purchase for his reaction alone, since he was super excited to see it! Look how cute! 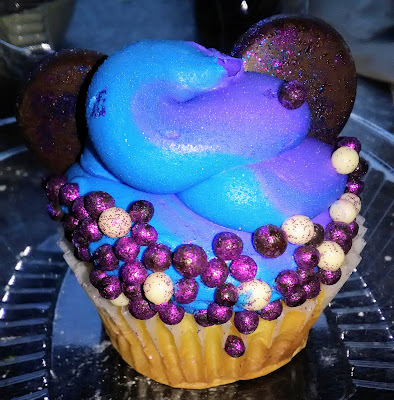 This was a chocolate cupcake, with peanut butter frosting, a white chocolate Goofy hat and ears, and blue sprinkles. I can't say that I got to try it, because The Hubs gobbled it pretty quickly. I guess it was good??? He said the frosting was delicious and the cake was just a plain chocolate cupcake, but it all worked together really well, so this one was a winner too, and was The Hubs' pick for favorite snack. So there ya have it, kids. Six snacks for you to check out and enjoy on your next visit. 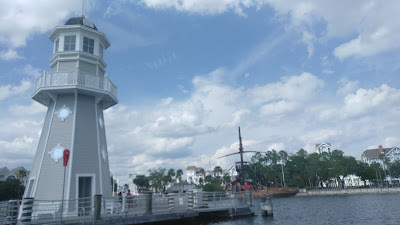 Speaking of which..... have you contacted Kingdom Konsultants yet to plan out your next trip? Well, why not? 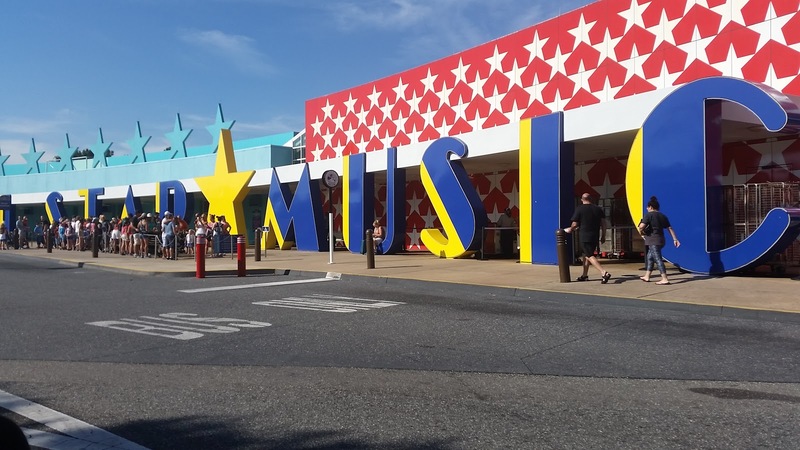 They are the best, and they will happily help you with dining, Fast-passes, park info and more, so get in touch today! 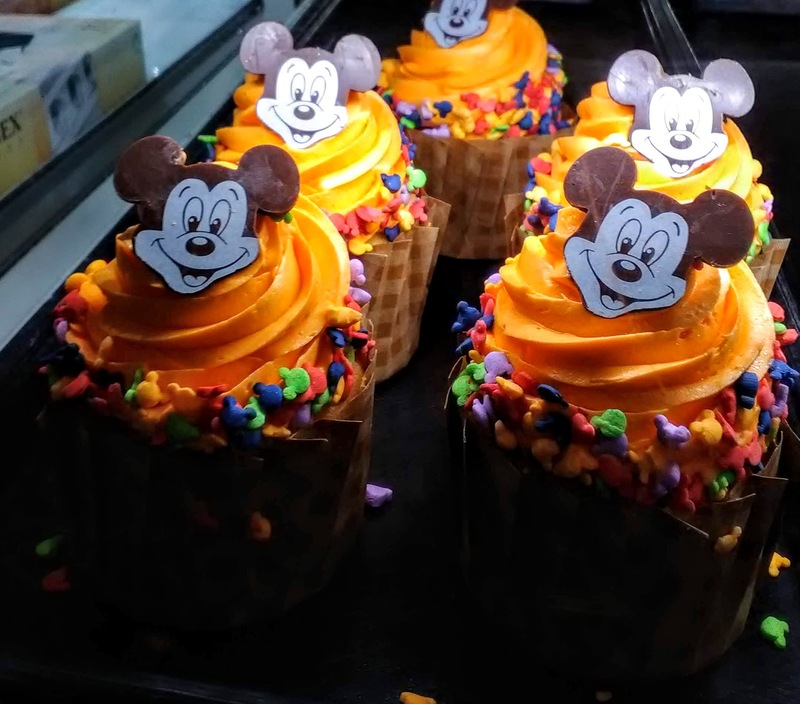 Until next time, Disney Foodies, have a magical week!